Ken Barrett has always had a love for hockey which started while growing up in his home province of Nova Scotia. He has been playing hockey both on and off the ice since he was five. He has played at the highest level throughout minor hockey on to midget AAA then the Quebec major junior league and continues to play hockey today as much as possible. He is ready to pass on his love for hockey to the kids with fun drills and games. Originally from Mississauga, Ontario, Carly was introduced to the sport of tennis at the age of 7 and went on to play competitively in the OTA. She continued her competitive career in the NCAA, playing for Temple University’s Division 1 tennis team. Carly currently works as a Tennis Professional at Lakewood Indoor Tennis Centre and Riverside Badminton and Tennis Club. 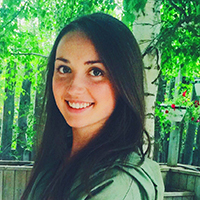 Prior to moving to Saskatoon, Carly coordinated and coached tennis programming in the Yukon. Before that, she was an instructor for 6 years at Joshua Creek Tennis Club. Carly is a Tennis Canada Certified Club Professional 1 and is a member of the Tennis Professional Association. Jari Chaloupka is a Registered Yoga Teacher (200 hour RYT) through Namaskar Yoga School, Registered Yoga School with the International Yoga Alliance (http://yogalliance.org/). She has been teaching yoga since 2009. Jari strives to practice and teach yoga with passion and compassion. What is important to her is the harmony between body and mind that comes with practicing yoga, the sense of gratitude and self-realization. Also, she encourages her students to keep a positive attitude with a sense of humor and sense of play. SPRA, YMCA certified with CPR-C/First Aid. Mary teaches Cardio, Sculpt, Core, Tabata and Bootcamp style classes. Her workouts focus on training multiple muscle groups with multi-plane, functional movements. By combining cardiovascular exercise with resistance training you get a more efficient workout. Mary focuses on bringing safety to a fun and welcoming environment. All fitness levels are welcome as modifications are given for beginners to advanced! Lily started teaching ballroom dancing in 1974 with the U od s Ballroom Dancing Club. Having taught beginners, Intermediate and Advanced levels, she soon ventured into the competitive world both in PRO/AM and AM/AM divisions of American and International styles placing gold, silver and bronze on several occasions. To further develop her dancing, she pursued coaching from various pros around North America. In addition to taking private lessons, she also attended many dance workshops in Canada, United States and on an Eastern Caribbean Cruise. 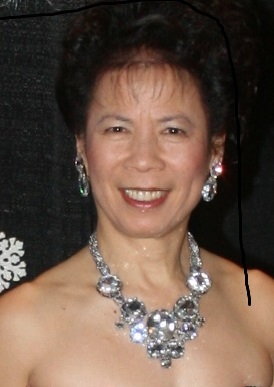 Besides teaching ballroom dancing, she also performed in various dance forms at venues in and outside of Sasktoon reaching across the continent to Japan. One of her highlights was judginf at the Saskatoon Inaugural 2012 Swinging with the Stars event. Passion mildly describes her love of dance. It can be infectious and she wants to share it with you! Joe started teaching ballroom dancing in 1975 with the U of S Ballroom Dancing Club. He taught at Beginner and Intermediate levels. He furthered his dance education by annually attending workshops, classes and private lessons in all areas of American style social dance. He regularly performs instructors group routines at the UofS Ballroom Dancing Club’s formal events. Joe has taught several years with Lily Chin at the UofS Ballroom Dancing Club as well as on occasions private and group lessons. Marissa has been dancing competitively for 13 years in the various genres of jazz, ballet, pointe, contemporary, lyrical, hip hop, and musical theatre. She has trained intensively and achieved graded exams in the ADAPT jazz syllabus, as well as the RAD ballet and pointe syllabus. Marissa has also had the privilege of taking classes from former So You Think You Can Dance Canada participants and numerous other highly acclaimed choreographers from across Canada. 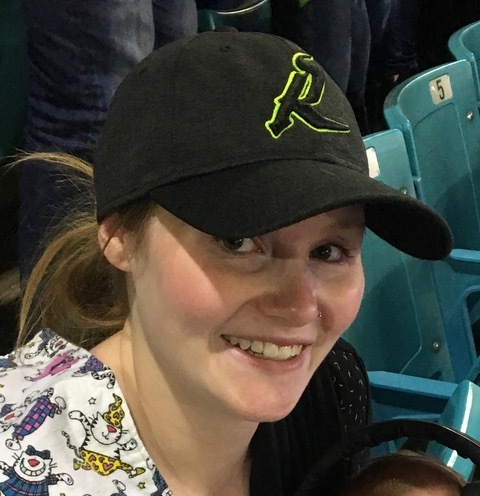 Marissa enjoys working with young dancers, as she has been a teacher assistant for over 6 years at her dance studio while focusing on helping them find their passion for dance in a fun and friendly environment. Jamie has been interested in fitness for the majority of her life, participating in a variety of fitness classes and sports. She has been working with youth for the past 5 years, coaching, leading youth nights and working as an EA. Wanting to share her passion for fitness, she has recently become certified through the SPRA, and also has her CPR & First Aid. Jamie would love to help families to spend time together while having fun being active. Beth danced for 14 years at Sitter School of Dance. She is well versed in tap, jazz, ballet, pointe, lyrical, and musical theatre. She has competed for 10 years in tap, jazz, ballet, pointe and lyrical. Beth has completed all of her graded and vocational RAD ballet exams and all of her CDTA tap and jazz exams. She was a part of her high schools dance and musical theatre program and loves working with children. She is currently at the U of S studying microbiology and immunology and has been a part of the Rush dance team for 2 years. Paula has been a participant in all sorts of movement activities her whole life. 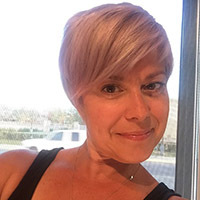 As an educator with a love of fitness, it seemed a natural transition to move into sharing her love of movement with others and she has now been teaching fitness for 4 years. Paula is SPRA certified and is also trained in first aid, CPR-C and AED. She has boot camp training, as well as total barre and Physique57 certifications. She especially loves dance, Pilates, yoga and functional movement so she weaves them all together to achieve a toned body from top to bottom. She also believes that great music and great fun is a must! I enjoy sharing my love of sports and have been fortunate enough to be a Sports ABC's instructor for the past four years. I like to instruct in a non-competitive environment where children feel that they can come, have fun and make new friends! My name is Tera Jensen. Over the years I have enjoyed a variety of sports and fitness classes. I became inspired to become a fitness instructor after falling in love with Zumba®. The music and moves are so much fun it truly is exercise in disguise. I love how Zumba® appeals to so many. All ages and all fitness levels are attracted to Zumba®. My certifications include SPRA Group Fitness, Zumba®, Zumba® Gold, and Zumba® Step. Come join the party!! I look forward to meeting you! Brie Kleiboer is a grade ten student at Marion Graham Colleigiate who has a passion for art. She is currently in the advanced placement art program and enjoys sketching and creating in her free time as well. She looks forward to sharing her ideas with other students. Sports and an active lifestyle were a big part of my childhood growing up in a small town. I moved to Saskatoon after high school, and when I was 19 years old I became a SPRA and YMCA certified fitness instructor. Throughout the years I have enjoyed teaching a variety of fitness classes including cardio & sculpt, circuit training, bootcamp, HIIT, tabata, muscle sculpt, step, ball, core, as well as special programs for children and seniors, and teaching dryland training to kids hockey teams. I also have my strength & resistance training certification as well as annual CPR/First Aid/ AED training. It is my goal to teach fun and challenging classes with a wide variety of total body exercises that can be modified to accommodate any fitness level so that each participant can feel successful. Some of the best comments I have heard after a class are: “ I can really do this!” or “That was fun”, and, “Awesome music!” So come join us for a fun and energizing total body workout to some great music… Don’t make excuses… just do it… your body will thank you! I have been a fitness instructor for 9 years and am certified through SPRA. I teach a variety of classes from Step, Boxercise, Bosu Ball and the ever popular bootcamps (indoor and outdoor). I am also a certified Piloxing and Piloxing Barre Instructor. I became certified in 2011 in LA, Californa and am only 1 of 2 instructors here in Saskatoon to teach Piloxing. You will find me teaching at various gyms and communities within the city. I enjoy teaching to a variety of age groups at different fitness levels, keeping my classes fun and fresh is always my goal!! Fitness has always been a big part of my life from playing on various organized teams when I was younger, to competitive ball into my early adult years. I have 3 grown children, 2 girls and a boy who were also very active growing up, this was great, becasue it allowed me as a parent and an instructor to be involved in their off ice training (dryland). Myself and a few other parents would run the training off the ice. Everyone is on there own personal journey when it comes to fitness, I believe that the key to staying physically active is to find a class and an insturctor that meets your wants and needs when it comes to classes. Find something fun and you will never dread going to the class! Certified SPRA fitness instructor, AED/ CPR/first aid. Ash has been teaching Bootcamp classes for 5 years. Her classes can consist of tabata, HIIT, cardio and strength. No class is ever the same. Ash strives to motivate all fitness levels and provides fun challenging classes. Cara Spence is a well practiced and well taught teacher with over 800 hours in training and 10 years of teaching. Her yoga is both philosophical and physical, and she reaches students of all ages and skill levels. Her unique sense of humour and insightful presence creates a freedom to explore the practices of yoga in a safe and supported space. Cara is dedicated to yoga. Sharing her passion for yoga with others is clear a pleasure. 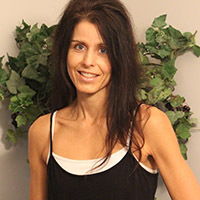 Tracy Stephensen (CYA-E-RYT200) is a certified yoga teacher and has been teaching yoga since 2009. She is a Wellness Coach, a Senior Critical Alignment Yoga Therapist and a Yoga Thrive instructor. 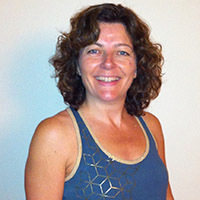 Tracy teaches a variety of yoga styles and specializes in Yoga for Backs, Restorative and Yin yoga. She works therapeutically with clients especially in the area of back issues, cancer, and chronic conditions. Alicia is SPRA certified and has been teaching fitness classes for approximately 14 years. Alicia as been involved with fitness from a young age - dance, running and weight lifting are the basis of her passion for fitness. Her motto is "Making fitness fun while getting stronger inside and out". 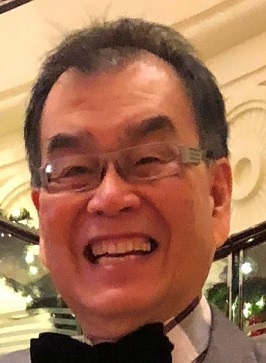 Grant Yao is a Tennis Canada Certified Instructor and member of the Tennis Professionals Association of Canada. Grant had a successful junior tennis career, representing Saskatchewan at two Junior National Events. Since transitioning to coaching, Grant has worked at Lakewood Indoor Tennis Centre while he attends the University of Saskatchewan.